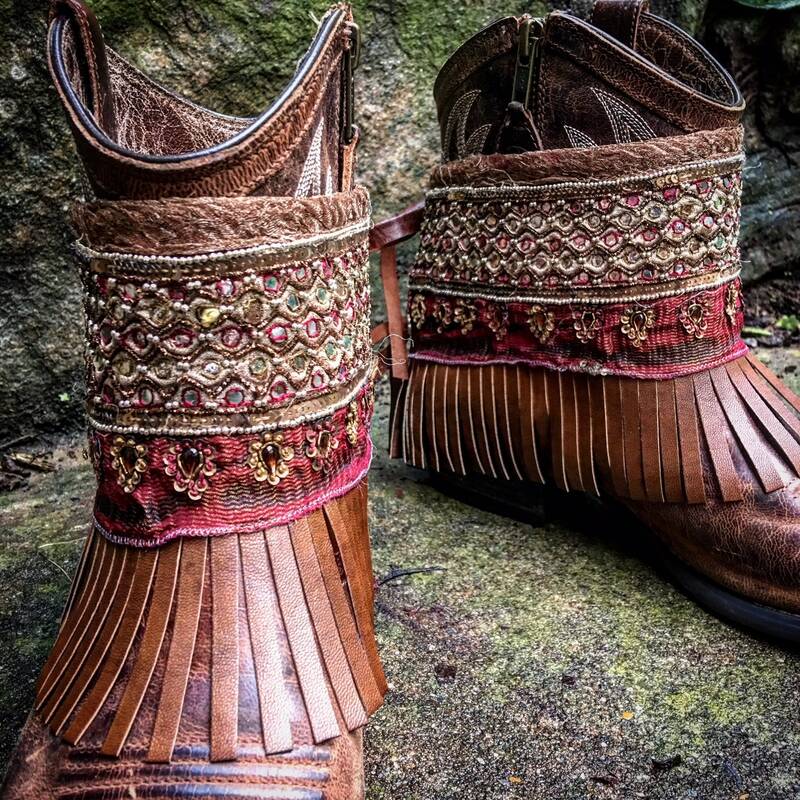 This listing is for one pair of handmade Bohemian boot wraps (please note - the leather cowboy boots shown in photos are not included). 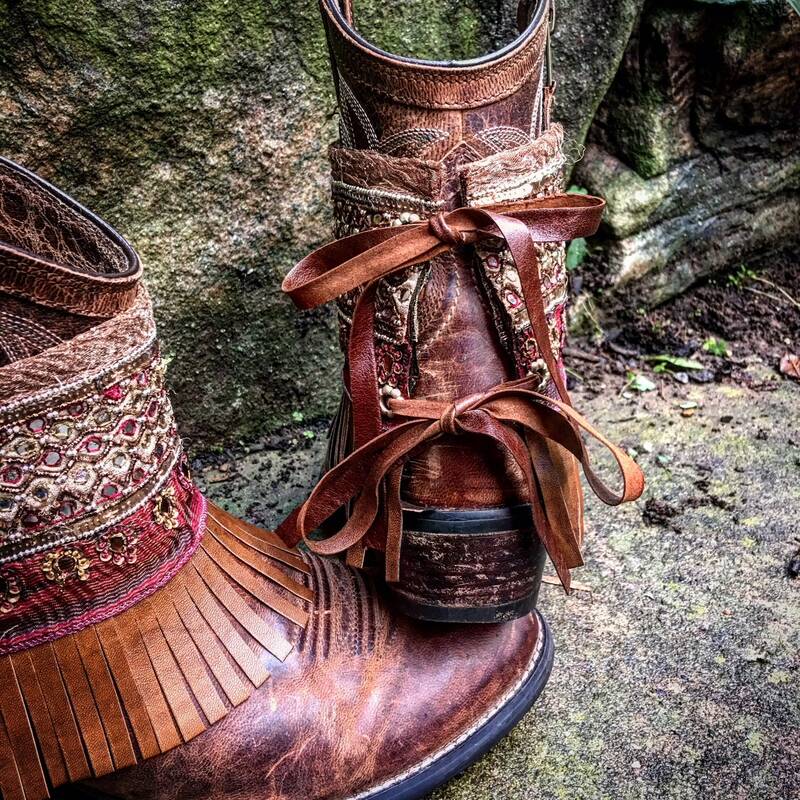 Your boot wraps will tie in the back with strong leather laces through adorable brass floral eyelets attached to the main piece. Main piece measures approx. 13" long. 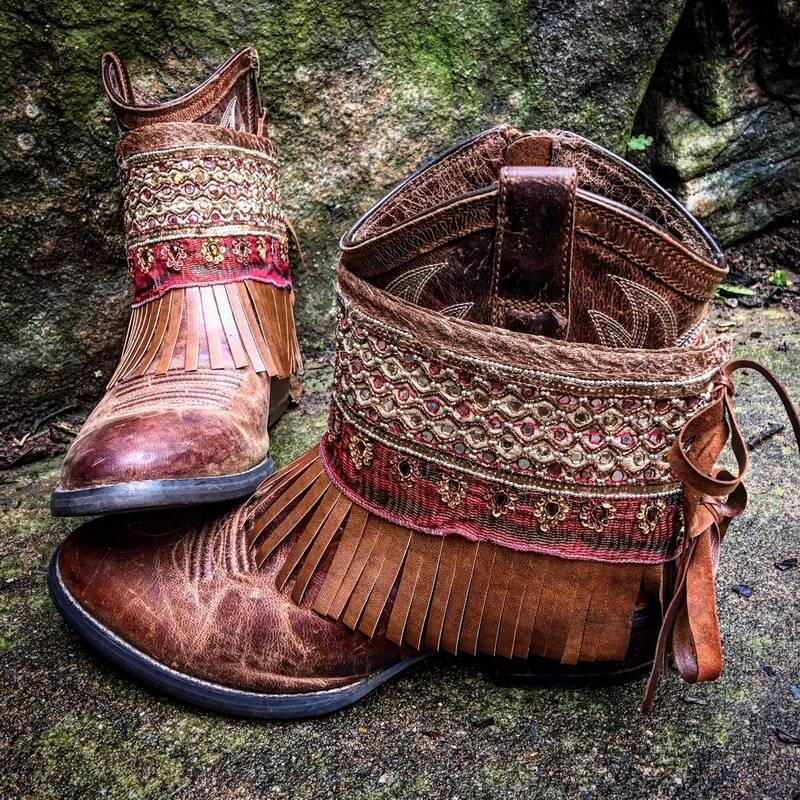 Total boot wrap height, including leather fringe, measures approx. 5.5". 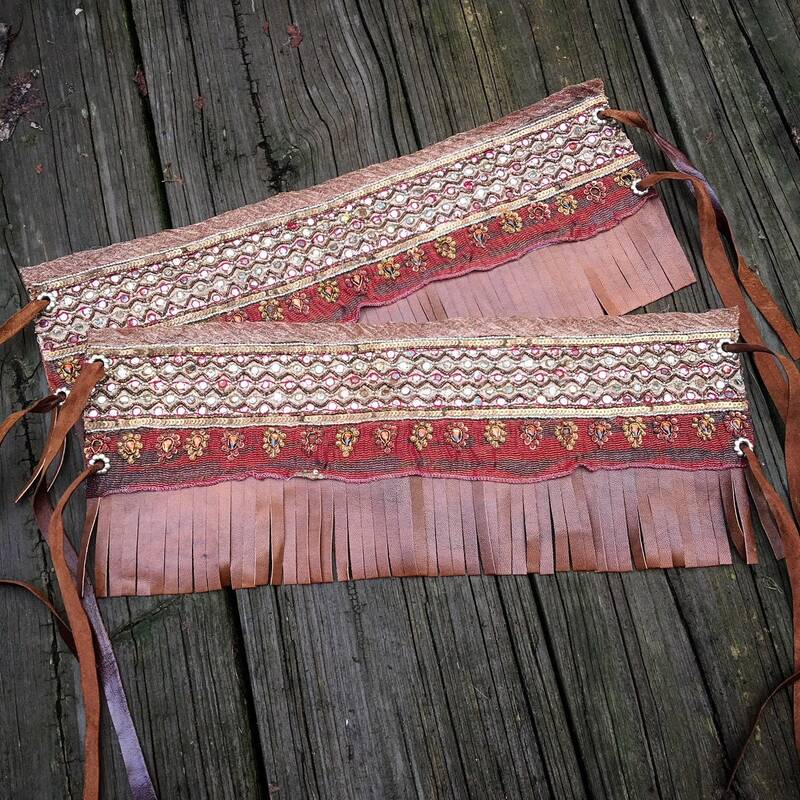 These boot wraps have a rosy, amber-colored fabric with hand dyed, hand cut medium cognac brown leather fringe. Features sequins and jewel-like decorations. Will fit over any boot due to being adjustable. Looks great with both short and tall boots!